What is Have Your Say?  Have Your Say is an automated voice activated survey / feedback system that uses SMS, QR Codes and Website links as the initiation trigger. It is unique in Global market place and addresses the current limitations of paper-based, web based and call centre based feedback and surveys forms. Have Your Say is a completely new way to gather real feedback from customers, at the moment they choose to provide it. It’s a far cry from online or hardcopy survey methods. 1. The customer sees your feedback invitation in any media. Direct Mail,TV ads, web site. 2. The customer either scans a QR code or sends an SMS. 3. In seconds, Have Your Say calls the customer back at the same time as connecting them to the survey application. 4. The application asks the customer your specified survey questions. 5. The customer answers the questions by speaking. 6. These answers are recorded and sent to you via email, straight away. For tech-savvy customers who use their smart phones on a daily basis, HaveYourSay is an easy way to get their opinion across. All they have to do is text or scan, then talk. For you, it’s a completely new way to gather real feedback from customers, the moment they choose to provide it. It’s a far cry from online or hardcopy survey methods. Have Your Say allows customers to start the conversation with you.